This blog is managed by Shaun Allison, Chris Runeckles Fran Haynes & Andy Tharby from Durrington High School, West Sussex, England, the lead school in the Durrington Multi Academy Trust. Shaun is also an author – details of his books can be found here. 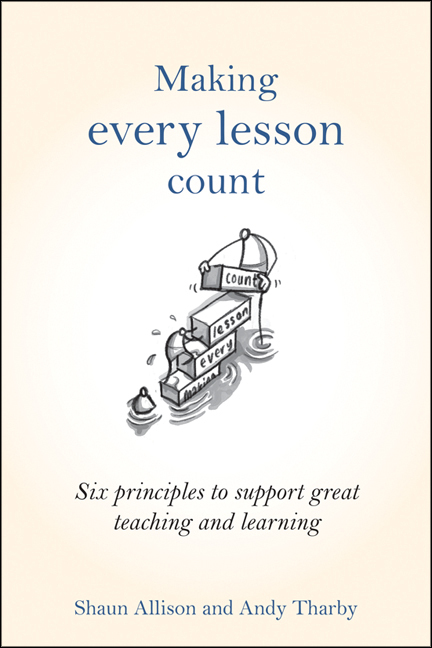 His most recent book, ‘Making Every Lesson Count’, co-authored with Andy Tharby is available here. 15 Minute Forums – These are weekly meetings (brief – 15 minutes, every Thursday) where staff showcase and share effective strategies and ideas on a specific area of pedagogy. The topic will be posted on Twitter by @shaun_allison at the beginning of every week with the hashtag #15mf, so that ideas from outside DHS can contribute to the discussion by people posting their ideas on this Padlet page. The schedule for the year can be viewed here. Subject Planning and Development Sessions – once a fortnight, subject teams meet and discuss what they are teaching over the next fortnight, and how to teach it most effectively. Further details here. Making every lesson count – Teacher Development Programme – based on the book by Shaun Allison & Andy Tharby, this is a 9 month professional development programme for teachers, from all schools. Details here. Subject Pedagogy Development Sessions – During INSET days, subject teams will meet to discuss best practice in their area, with a specific focus e.g. teaching difficult topics & misconceptions; modelling; feedback etc. 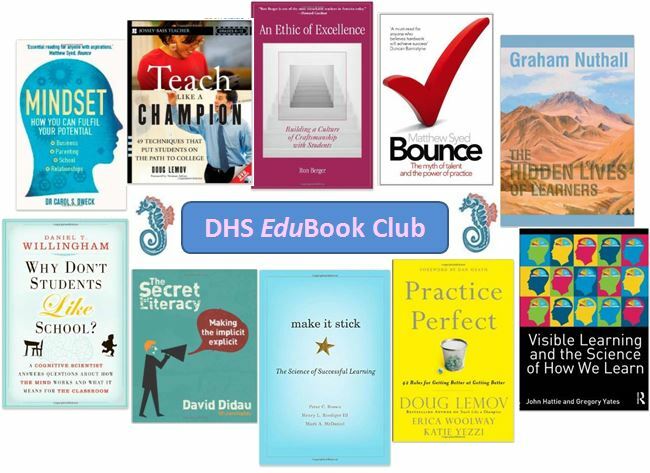 EduBook Club – All classroom based staff are a member of a EduBook Club who meet during INSET days to discuss their book – and how it has impacted on their practice. More here. Bright Spots – Very simple – walk around your school, go in classrooms and look for effective teaching strategies. Then share them. See here. Research Bulletins – Research & Development Leader Andy Tharby produces a half termly digest of recent updates from educational research. Archive here. Research Forum – A group of staff meet to discuss a specific educational research paper. Learning Development Groups – Cross curricular groups of teachers who meet six times a year to discuss and share good practice, around a specific pedagogical theme. The idea is that after each LDG meeting, each teacher commits to trying out at least one new teaching strategy – and then reports back at the next meeting. A development of Dylan Wiliam’s TLC (Teacher Learning Community) idea. Practitioner Research Projects – Teachers who receive a paid bursary to carry out a school based enquiry project on an area of pedagogy of their choice. Further details here. The Big Idea – At the beginning of every staff meeting (or INSET day), all staff have to write down one good strategy they have used (or seen used) on a particular aspect of pedagogy. These are then collated into a booklet. See here. Marginal Gains Board – in the staff room (by the photocopier) – a board where staff write down and pin up good strategies they have used. See photo. Learning walks and talks – many of the best ideas are picked up when simply walking around the school and talking to staff. Teach Meet – held annually, in June. A great way to hear excellent ideas from other schools. DHS TeachMeet website. Professional Learning Visits – On one of the INSET days in 2012, all teachers went to visit another school, to gather best practice. This was the starting point for a great deal of cross-school collaboration work. Similar visits are still encouraged throughout the year. Blog of the week – Every week a noteworthy teacher blog post is distributed by email to all teachers at DHS – to inspire and share the good practice from other schools. Archive here. IRIS remote observation technology – We have been developing the use of IRIS connect within our school, as a coaching/reflection tool. We are now keen to develop this further and work on remote coaching with other schools. CPD Events – we host a number of CPD events that colleagues from other schools are welcome to attend. Details here. Sounds fgantastic. We have only just begun with Iris but would be keen to contact you about its usage in school as well as across schools. This is great to see Shaun. Too often in schools you see or here token efforts towards CPD or sharing good practice within a school without it ever really amounting to much, but seeing these ideas and embedded practices within DHS has given me hope that some schools do actually place value these things and do a good job of them too. Thanks for the positive feedback. It’s only possible because of our brilliant staff! Just wondering how you are evaluating the success of your CPD. How do you know this is working and making an impact on student outcomes? How do you decide which bits of your CPD have the most impact/have the most value and are the ones to continue with? DO you do any data analysis on student outcomes, or student voice? Do you do any questionnaires/feedback from staff to measure impact? 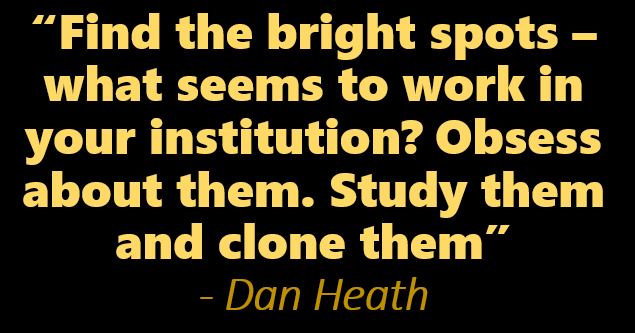 Or do you rely on the outcomes – seeing staff sharing their results and research into classroom practice? observations of lessons? How do you know what works? Thanks so much for this blog. It is a regular support to my teaching and often (like this morning) gives me a gentle reminder for my teaching practice. Thanks also for your book which is so helpful and inspiring.